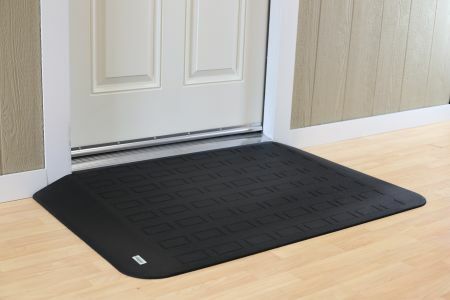 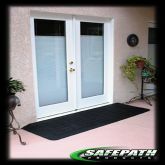 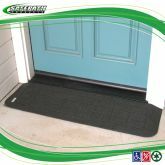 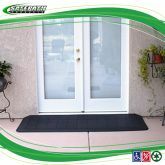 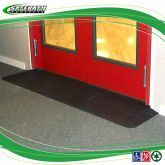 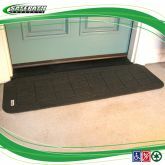 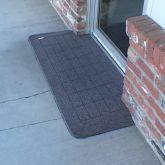 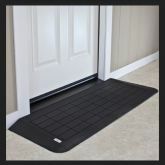 EZEdge™ Transition Wheelchair Ramps are most often used for door thresholds, sliding glass doors, entry ways, or any other transitions that impede a free path of travel. 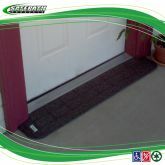 Installation is quick and easy, which significantly reduces the labor costs of removing vertical barriers. 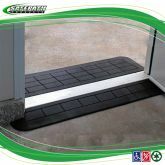 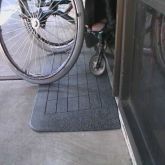 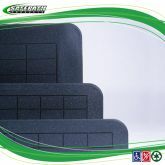 EZEdge™ Ramps can be easily installed on most surfaces including concrete, asphalt, wood, tile, VCT and marble. 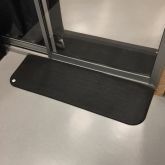 They are available for barriers starting at ½” high all the way up to 3” high in ¼” increments, with larger sizes available in multi-piece assemblies. 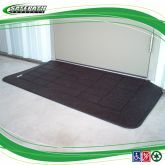 Simply choose the model closest to the height and the necessary width required.